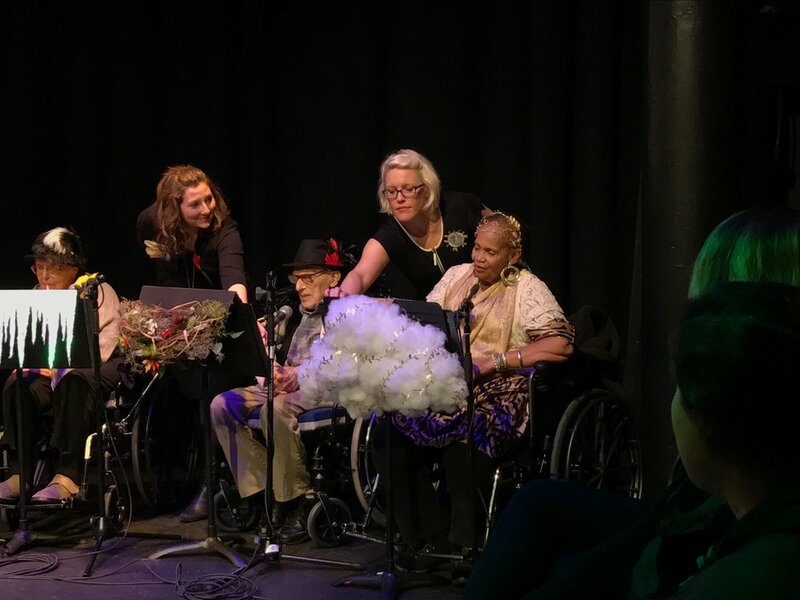 The Birds is an adaptation of Aristophanes' comedy made for residents of the Hebrew Home for the Aged. The play follows the story of two Athenians searching for a perfect city who, out of desperation, move in with a flock of birds. What appears to be an absurd premise sets the stage for a real meditation on status, colonialism, and the slow work of healing old wounds. The adaptation asks us to consider how we hold space for both grief and hope while navigating the complexities that accompany creating and settling in a shared, new community. In the same utopian spirit as the story, the production proposes a vision of live performance that, through formal devices such as choruses, ego supports and rhyme, considers physical and emotional needs at its core. Developed with residents of the Hebrew Home and drama therapists Barbara Kaynan, Kate DelPizzo and Hanna Rosenberg. King Terus: what’s it like being a bird? For starters, we don’t have purses. Well….that takes care of thieves. In the summer we only eat myrtleberries, and in the winter, white sesame seeds. It’s a very simple life. Too simple for humans I reckon. And it would be good for you. If we settled there, and turned the sky into a proper state— humans would really rethink the birds.